Origionally I designed this for use on my Metal Laithe to Aid me in winding coils. But it can be adapted for many other applications. This Circuit uses a CD40110BE, Up/Down Counter IC's. This IC is able to Source Each Segment with 25 mA, Giving a Very Nice Bright Display. 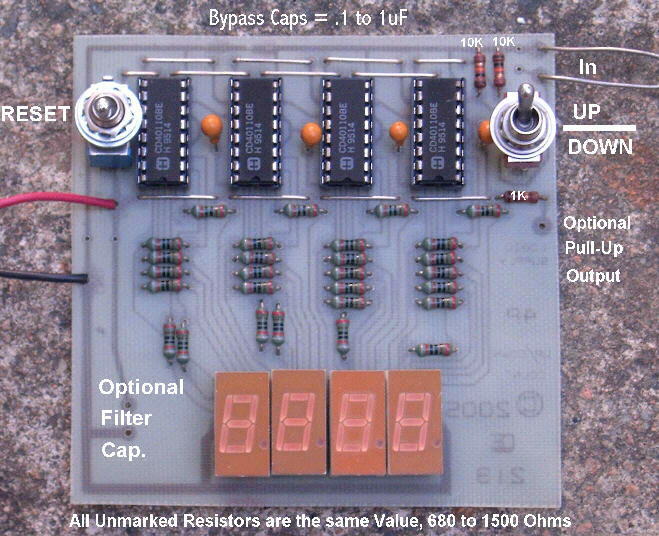 NOTE Also: All the UnMarked Resistors should be at least 330 Ohms with a 6 Volt Supply. Or 680 Ohms for a 12 Volt Supply Voltage. And For Supply Voltages up to 18 Volts, use 1000 Ohms or more. Or if you want "Reduced Power" and "Brightness", Adjust the resistor values as appropriate. Basically the Approximate Current is Supply voltage Minus 2, Divided by the Resistor Value. The Schematic posted here Only shows the First, Second, Third and Last Stages. 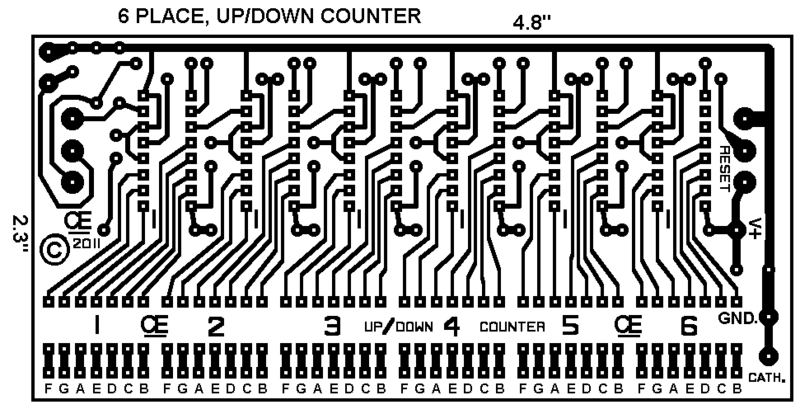 So you could make a display with as many digits as you wish, by expanding the circuit board. 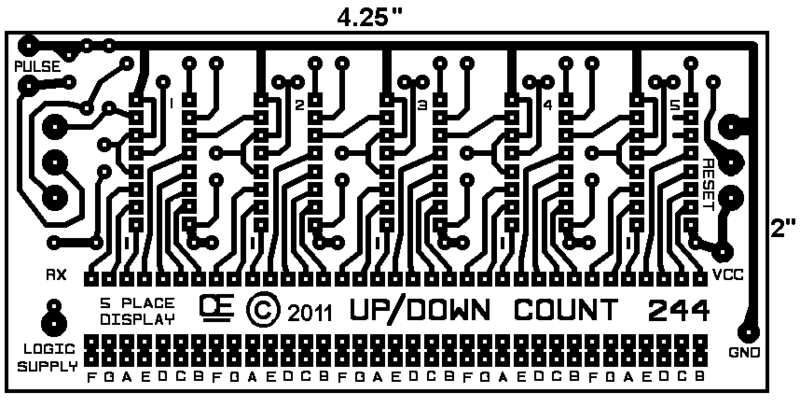 Additionally: You can just put in 1, 2, 3, or all 4 IC's and the Appropriate Displays. 1) Adding a Clock Circuit with a Frequency of 1 Hz in place of the Reset Switch will create a Frequency counter in Hz/Sec. 2) Adding a Clock Circuit with a Frequency of 1 Hz into one of the Inputs can create an up or down counter type of timer. 3) Although Not Highly Accurate, a Simple 555 circuit will work as a Simple Clock. 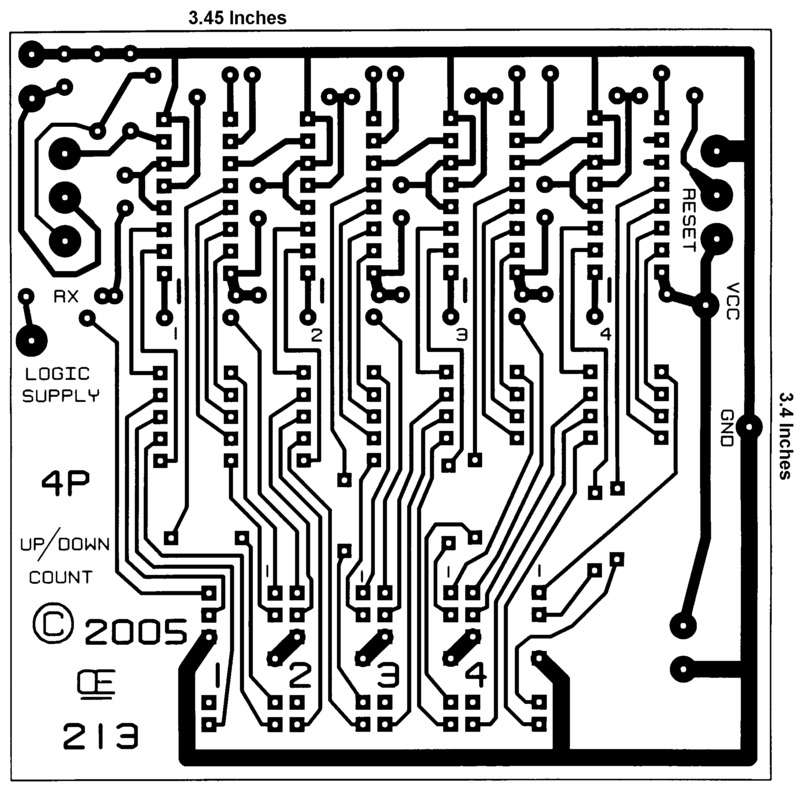 "Here is My New Proto Board"
Re-Drawn for Easier Viewing, Oct 24,2011. 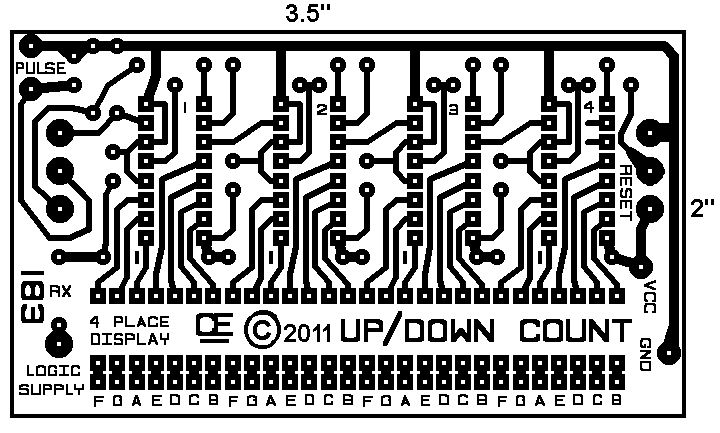 So now I have created these New PCB's. With these PCB's you can Hardwire ANY COMMON CATHODE Displays to the Board. "New 4 Display Circuit Board"
"New 5 Display Circuit Board"
"New 6 Display Circuit Board"
"A Hall Effect Switch to use for counting", TL170. 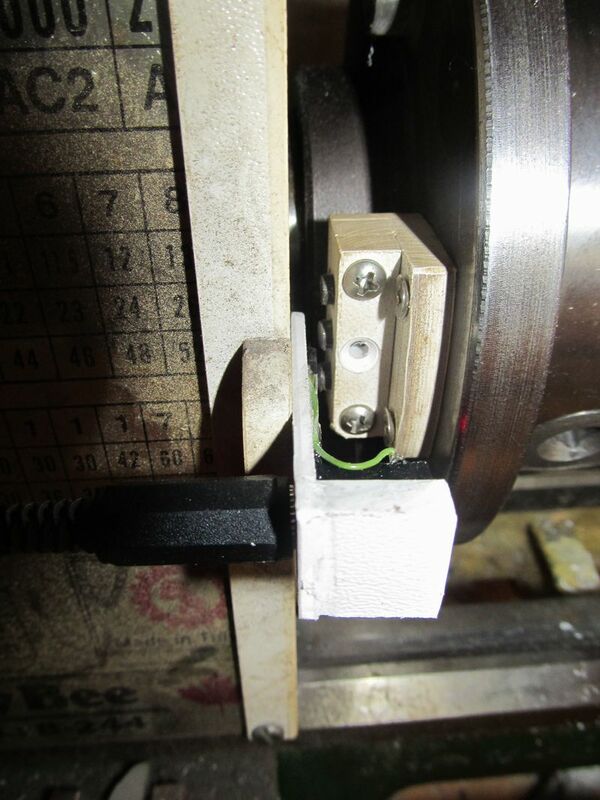 "The Counter Assembly I made for my Metal Lathe." One South is for Counting Up, The Other South is for Counting Down and the North is a Clear between them.